Nuclear Treason Part 2 Who Is Jerome Grossman? In my first post in this series, I looked at Leo Szilard - communist sympathizer, accused Soviet agent and founder of Council for a Livable World (C.L.W. ), America's oldest and most influential Political Action Committee which is dedicated to funding pro-disarmament candidates into the U.S. Congress and Senate. According to C.L.W. 's website, "its purpose is to campaign against the proliferation of nuclear weapons through lobbying and by supporting candidates who share their vision." Next up, I profile C.L.W's major guiding force, Massachusetts businessman, activist and power broker Jerome Grossman. Born in 1917, Jerome Grossman worked in his family business, the Massachussets Envelope Company, for thirty-five years. After selling his interest in the firm, Grossman, accepted a position as the President and National Executive Director of Council for a Livable World, before becoming after 12 years, the chairman of the organization. He is still officially Chairman Emeritus on the board of the C.L.W. While coming from a business background, there is no doubt that Grossman is a socialist at heart. "The dynamics of the modern world under capitalism tend toward the growth of large corporations with semimonopoly positions. That’s my basis for supporting a big government, is to control big corporations." Jerome Grossman, grew up in a "liberal" household, reading The Nation and watching his father supporting supporting several Massachusetts leftist politicians. By this time he had left the business. When I was twenty-four he gave me the keys, and says, “You run it.” So that’s what he did. So he was known as a capable, effective, well-respected political person. I’m known as the Massachusetts liberal. Not radical––liberal. Although a lot of people think I’m radical––I’m more radical than they think. But my activities have been along those lines. Grossman began his own political activism in the 1950s, working through the "peace movement" of the time, but became dissatisfied with lack of progress. This in the middle 1950’s. And, of course, everybody was still terrified of McCarthyism, unwilling to do anything that appeared to recognize the existence of the Soviet Union and that they had a right to exist. It was interpreted as being against the Cold War. I was against the Cold War and I wanted it resolved. The reason why I wanted it resolved is so that nuclear weapons ought not to be used. So I became involved in National Committee For A Sane Nuclear Policy and various other organizations that were founded virtually every other year in response to various pressures. Of course what we were working on then was the nuclear test ban. We're still working on the nuclear test ban to try to complete it. But I was the one who became quite dissatisfied with the fact that we were essentially talking to each other in church basements and academic meetings, middle class, upper class, highly educated people. We weren’t reaching the public. Founded in 1957, the National Committee for a Sane Nuclear Policy, became known as SANE and later Peace Action. The organization has been guided by communists and socialists throughout its history. In the early days Communist Party supporters like Abe Bloom and General Hugh B. Hester served alongside Socialist Party types such as James Farmer, Victor Reuther and Norman Thomas. Grossman decided to move into electoral politics to achieve his goals. 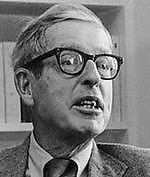 In 1962, the Massachusetts Socialist Party promoted their own "peace" candidate in the Massachusetts Senate elections - Communist Party front activist, chair of the Committee for a Sane Nuclear Policy and Harvard Professor, H. Stuart Hughes. Jerome Grossman chaired the campaign committee, while ultra radical Chester Hartman was the organizer of the massive signature drive required to place Hughes on the ballot. Grossman played a major role in recruiting "peace candidate" Eugene McCarthy in the 1968 presidential campaign. My worry about the Vietnam War was that it could result in a nuclear war between the United States and the Soviet Union or the United States and China. That was my main motivation. We were working in various ways. Then the presidential election of 1968 was looming. I worked with Allard Lowenstein and Curtis Gans to try to find a candidate who would run against Lyndon Johnson for the Democratic nomination on the issue of the Vietnam War. We went to George McGovern and he turned us down. He was Senator then. We went to Senator J. William Fulbright of Arkansas who was the Chairman of the Senate Foreign Relations Committee, and had had very good hearings. He turned us down. We went to Bobby Kennedy and he turned us down. We had nobody. 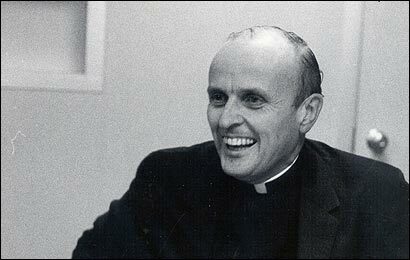 One of Grossman's next projects was the recruitment of Jesuit priest, Fr. Robert Drinan, to run for Congress. Communist fronter Drinan turned out to be one of the most far left Representatives to ever serve in the U.S. Congress. He played a lead role in ending U.S. government investigations into subversive activities. This campaign also led to Grossman's connection to future U.S. Senator and Presidential candidate, the leftist John Kerry. We decided that we wanted to elect a member of the House of Representatives who was against the Vietnam War... So we furthered our activities against the Vietnam War by using the most Democratic tactics, by bringing in all of the two thousand anti-Vietnam War activists in the fourth Congressional district; bringing them all into a school for an all-day session and selecting a candidate from people who ran. I was a candidate, and I was the likely candidate, until I found a Jesuit priest, Father Robert F. Drinan, the Dean of the Boston College Law School... Okay. So when I heard that Drinan, a well known priest, the Dean of the Boston College Law School, might be interested in running, I called him up immediately and said, “I’m dropping my candidacy; I will work for you.” So we nominated him at the caucus, and we elected him. And electing him was part of the process. While this was going on I got a telephone call from somebody I had never heard of... This fellow calls me up and he says, “You don't know me, but I have a brother who is a natural politician, and he’s over in Vietnam now. He’s coming back. And he wants to run in the caucus that you are organizing.” And I said, “I already have a candidate.” He says, “Yes, but my brother is special.” I said, “Who’s your brother?” He says, “John Kerry.” This was Cameron Kerry who at the time was a junior at Harvard College. He interested me so I said, “Get over here.” He hopped a bus and he came over in his sweater and everything. And we talked. John Kerry did run in that caucus and did very, very well in the caucus. I was hard pressed to beat him. But John Kerry, after he lost, he stood up and he said, “I’m going to respect the wishes of the caucus. I’m not going to run in the primary. I will dedicate the rest of the campaign to working for Father Drinan.” And that’s why I have been a supporter of John Kerry every since. In 1982, Jerome Grossman, was a member of the American Committee on East-West Accord. The A.C.E.W.A., based in Washington, D.C., was a tax-exempt "independent educational organization", with the stated aim of "improving East/West relations, with special focus on U.S.-Soviet relations." One of the key pro-disarmament organizations of the "Cold war", A.C.E.W.A., while attempting to maintain an aura of respectability was riddled with far leftists. Bernard Feld - A member of President Nixon's famous "Enemies list", Feld was heavily involved with the communist influenced and Leo Szilard sponsored Bulletin of the Atomic Scientists and with the Council for a Livable World. There is some evidence also that Grossman, a former member of the Democratic National Committee may also be a member of Democratic Socialists of America - the U.S.'s largest Marxist organization. In 2010, Jerome Grossman's son Steve Grossman, was endorsed by the Boston Democratic Socialists of America, in his run for the Massachusetts treasurer job. Son of CPPAX founder Jerome Grossman (one of DSA’s first Debs-Thomas honorees), Steve Grossman has strong labor backing and says he will use this office to leverage progressive issues. Jerome Grossman is also listed on the advisory board of the Democratic Socialists of America-affiliated National Jobs For All Coalition, alongside identified D.S.A. members Elaine Bernard, Noreen Connell, Staughton Lynd, Manning Marable, Lawrence Mishel, Rep. Jerrold Nadler, Juliet Schor, Ruth Sidel, Victor Sidel, Theda Skocpol, Joseph B. Uehlein, Cornel West (Barack Obama's Black Advisory Council 2008), and William Julius Wilson (a panelist with Obama at a D.S.A. sponsored forum in Chicago in 1996). Though little known nationally, Jerome Grossman has probably had more influence on U.S. disarmament policy than any living person in the country. "Mommy, Mommy, Obama's a Commie"
Republic or Democracy - What's the Difference? Ronald Reagan - "A Time for Choosing"